Family recipe time! 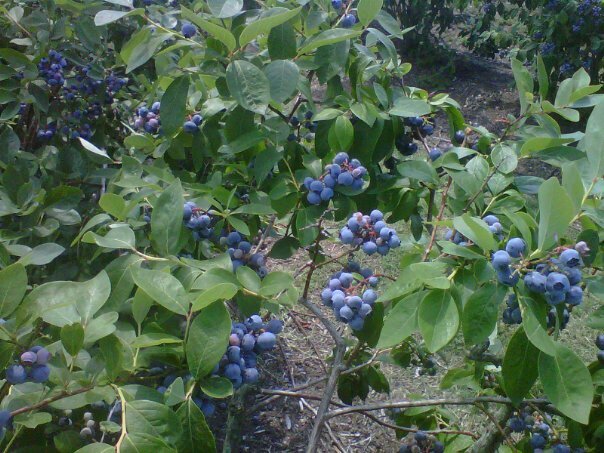 I absolutely love blueberry season - I've been to pick my own blueberries twice already this summer and am already plotting a third trip. It's an addiction. I just can't get over how much cheaper they are at the u-pick farm, not to mention tastier than the one at the grocery store! 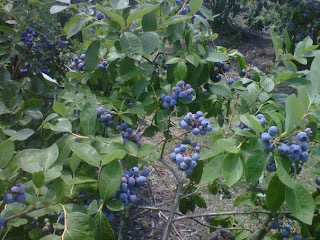 So what to do with all those blueberries? I do freeze most of them so we can blueberry it up all year long, but I like to make a blueberry-based baked goodie the day I pick more berries. This time it was my fabulous mom-in-law's Blueberry Creme Pie. I guess it is technically not a family recipe, since she got it from her good friend and neighbor, Mary Beth, but I got it from her and I'm sure I will pass it down to my future kids, so it counts! This is a fresh and simple recipe and it turns out flawlessly every time. I didn't include a piecrust recipe, but I do have one I use every time if you need it, just email me or comment. 1. Beat all filling ingredients except blueberries on medium for about 5 minutes. Add the blueberries in and fold gently until combined. Pour the filling into a prepared pie crust and bake at 400 degrees for 25 minutes. 2. Blend all topping ingredients together, work the butter in with your fingers until combined. Remove pie from oven and top with the crumbs. Bake for 10 more minutes until the topping browns slightly and filling is bubbling.